Have you ever wondered what Star Wars games you will never get to play? What circumstances have forced the developers to cancel their projects? And what have we all missed by these cancellations? Turns out that it's quite a lot. Some of the games have never even left the alpha, not to mention the concept stage. There were many different reasons for that – the developers were delegated to work on a different project, the studio could not work out any reasonable concept with the publisher, the game was cancelled because it was not in line with the plans for the universe, etc. Similar stories happen all the time with other games, but come on… it’s Star Wars we’re talking about! This time around we look at the most interesting games from the universe created by George Lucas that didn’t really make it… and it’s a shame. Star Wars: Dark Squadron was to be a part of the Rogue Squadron series, nonetheless it was supposed to allow the players to side with the Galactic Empire to eradicate the galaxy from all the rebel scum. The game revolved around the Dark Squadron – a Starfighter formation in the Imperial Navy known from what is now called Star Wars Legends that actively fought Alderaanian Resistance in the Battle of Byss. Unfortunately, the developers from Factor 5 were delegated to work on a much different game… which got cancelled as well. What is more, this time the game did not even get a title – we can refer to it as the “Untitled Chewbacca Game”. Well, the title says it all. Players were supposed to play as a fan favorite Wookie after the events shown in Revenge of the Sith. The game’s story was intended to focus on Chewie who, after escaping Kashyyk, has become a mercenary and led a dangerous life whilst being constantly on the run from the Empire. The game was cancelled by none other than George Lucas himself who, allegedly, wanted Chewbacca to remain a sidekick type of character and did not want him to become the main protagonist of any kind of a Star Wars story. That is a lame excuse if you ask me, but you do not argue with the Man. There is also an interesting example of a game pitch that has been turned down by the publisher, cancelling the idea before the works on the potential game might have even begun. This five-minute demonstration was presented in 2016 to EA by Double Damage and features Star Wars iconic vessels pasted in Double Damage’s game titled Rebel Galaxy. This patchwork demo was supposed to show the potential of a game, in which players could control iconic Star Wars Starfighters, engage in dogfights from either third or first-person perspective, switch between ships, and travel around the galaxy by jumping to hyperspace (how awesome is that?!). 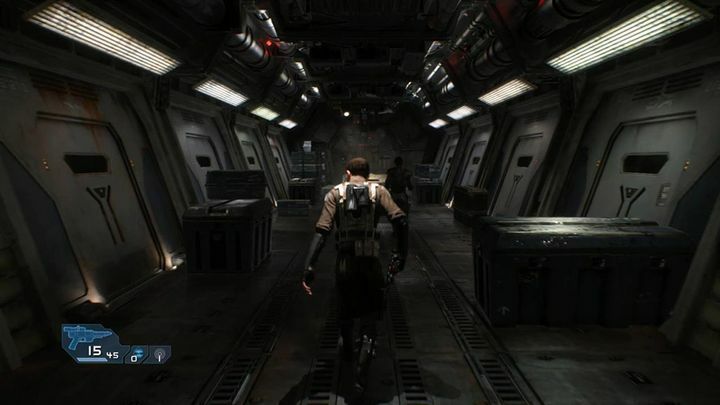 The interface presented in the demonstration very much resembles the one featured in Rebel Galaxy. Too bad EA was not interested. I remember a friend of mine telling me about a Star Wars game without any Jedi or Sith. My first reaction was not a positive one. I mean back then a Star Wars story without any Jedi was something unimaginable. Nonetheless, I decided to give the game a try and I was blasted away. Star Wars: Republic Commando focused on a squad of elite clone troopers and their missions for the Republic. The game was great in terms of its grim atmosphere, decent storyline, and perfect shooter mechanics. That was something entirely new. And with the game’s popularity, a sequel was bound to be released. Unfortunately, a sequel has been canceled even before the release of the first installment. Developers decided to cancel the project with only several concept sketches completed, as the sales projections for Star Wars: Republic Commando have been too low. The only source mentioning the sole existence of Star Wars: Imperial Commando is the documentary book titled: Rogue Leaders: The Story of LucasArts. The examples above present games that were cancelled early in the development process (or even before one could have gotten the chance to start). But there are also those games that have been developed for quite some time before being cancelled. Players often get the chance to see the concept art of the game, some trailers, and even get the official release date, only to find out that the game they are waiting for has been cancelled. OK, so what is the first reason you think of when someone tells you of a cancelled game? Well, money, obviously. 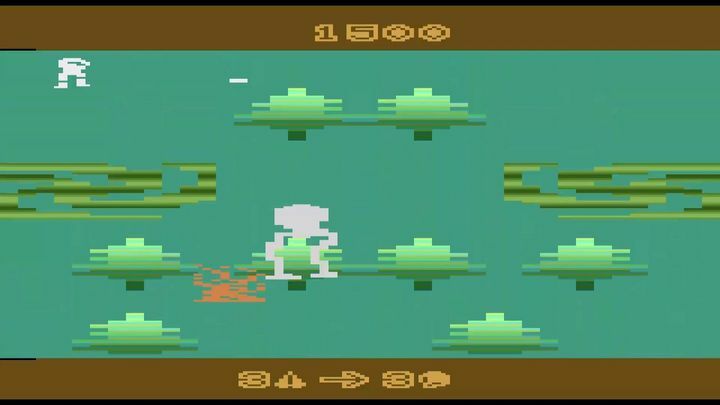 But allow me to start with an entirely different example – Star Wars: Return of the Jedi – Ewok Adventure was a cancelled 1983 game developed by Atari Games and was intended to be published by Parker Brothers on Atari 2600. The game based on the sixth episode of the Star Wars saga was ready for its release but the publisher’s marketing department issued a decision to cancel the game’s premiere, as in their opinion the controls were too difficult for players to master. Personally, I prefer difficult controls over something like “for jumping on the AT-ST walker, opening the hatch, and throwing a grenade inside press X”. Creating an MMORPG able to compete with such franchise as World of Warcraft is by no means an easy task. Since PC Windows exclusive Star Wars: Galaxies managed to gather a faithful group of fans and sold subscriptions on a regular basis, a decision has been made to develop an MMORPG for consoles only. In 2003 the development processes of project Pangea began and lasted for six months. Problems with the game’s interface and troublesome revenue model resulted in project’s cancellation. The developers were delegated to work on a yet another Star Wars MMORPG project called Proteus. Unfortunately, this project was also cancelled due to difficulties with implementing an MMORPG formula to console environment. The developers were yet again delegated to work on a different project – this time it was Knights of the Old Republic 3. This is not a mistake. There was a plan to create the third installment in the bestselling Star Wars RPG series. Unfortunately, the game was also cancelled; however, it served as the source material for the PC Exclusive MMORPG Star Wars: The Old Republic. Even though many fans were not satisfied with what Star Wars Episode I: The Phantom Menace introduced into the canon, nobody can deny what a great character Darth Maul is. Lightstaff instead of a lightsaber? Incredible martial art skills? It is all in one package. Around 2011 developers from Red Fly were tasked with creating a game with Darth Maul as the main protagonist. Battle of the Sith Lords, as the game was supposed to be titled, was to tell the story of the Sith and end with his death as seen in The Phantom Menace. This is where all the troubles began. LucasArts informed Red Fly that Darth Maul actually survived his fall on Naboo (not to mention being cut in half) but no further information regarding this character was mentioned. George Lucas himself wanted the game to feature Darth Maul working with Darth Talon – a character known from the comic books. The trouble was that in canon, there is an over 150-year gap between the two characters, so Red Fly decided to go with either a descendant or a clone of the Zabrak Sith Lord. There are multiple videos on YouTube presenting the technological demo of the game so I encourage you to look it up. Regrettably, after Lucasfilm was purchased by Disney, the game was put on hold with little chance of being completed. 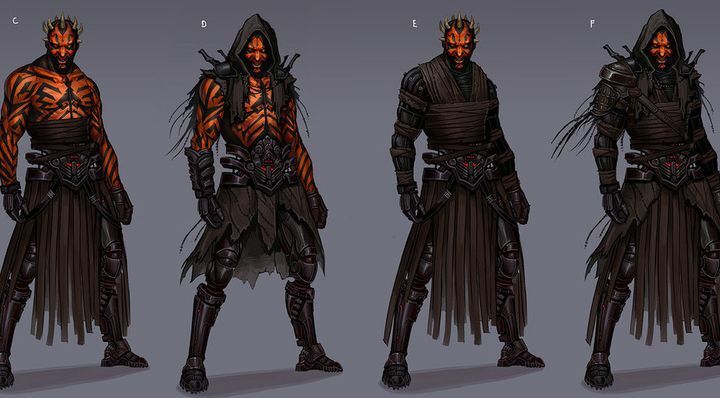 Concept sketches of Darth Maul (or his clone/descendant) to be used in Battle of the Sith Lords. I think we all know who is the bigger fish. Battle of the Sith Lord is not the only victim of Disney purchasing the rights to Star Wars. One of the most anticipated Star Wars games was cancelled after its announcement in 2012 as it was not in line with what Disney had planned for the franchise. Star Wars: 1313 was supposed to allow players to assume the role of a bounty hunter and jump right in the middle of the cover-based action. The announcement trailer promised beautiful visuals and entirely new gameplay mechanics previously unseen in any Star Wars game. Yet another game cancelled by Disney was Star Wars: First Assault – an infantry focused elaborate FPS revolving around team-based matches. As Disney had plans for reviving the Battlefront series, another Star Wars online shooter seemed redundant. But still… I would play it, if I had a chance. I mean, who would not? 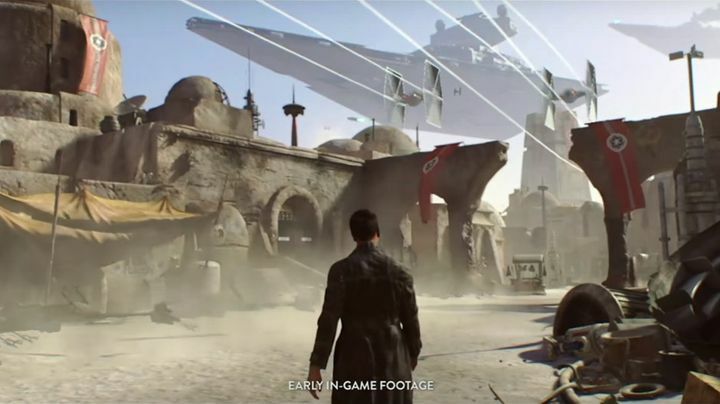 The story of cancelled video games set in a galaxy far far away does not end there. Even though this is a still an ongoing project, the Untitled Star Wars RPG Project caused a lot of trouble, as its initial developers – Visceral Games – were closed down and EA Vancouver has been tasked with redoing the whole thing. So technically speaking, the game, as it was developed by Visceral, was cancelled. Let us just hope that the problems end right here and we will get to play the game after all. Star Wars universe has no boundaries. There are so many characters, planets, organizations, storylines, etc. that developers should be able to find original source material for many years to come, as well as tell their own, original stories. Of course, there are situations when a given project simply cannot be released due to financial or legal issues, and there is nothing we can do about it. Nonetheless, it is a shame that there were so many interesting Star Wars projects we will never get to play. Well, at least not in the form initially intended by the creators.